At Armour Self Storage, customer satisfaction is our top priority. We’ve been serving our customers since 1978 and we’re happy to help you with all of your storage needs. Not sure what size unit you’ll need for your one bedroom apartment or your impressive wine collection? We can help you choose the right size unit with the right features for a variety of items. And don’t worry if you run out of boxes mid-move, we sell moving and packing supplies at each of our locations. Whether you’re cleaning out the garage, making room for a new addition, or have short or long-term storage needs, Armour Self Storage is the right choice for all your storage needs. Contact us today to reserve your perfect space. Interested in a Career with Armour Self Storage? Since 1978, Armour Self Storage has been providing superior self storage solutions and exceptional customer service. If you're interested in joining the team at Armour Self Storage, please apply now. Lezlie began her career in the aviation industry working for a major airline in several capacities. Following her airline career she ventured into a new field serving as sales representative in the semiconductor industry. Lezlie joined Armour Self Storage in 2009 working as a Manager at our Phoenix location before being promoted and moving to our Flagstaff location. 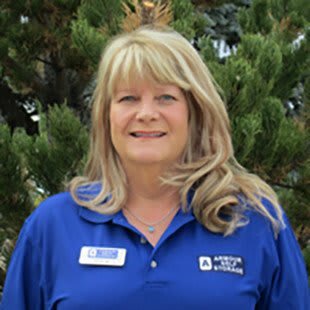 She has successfully provided our Flagstaff customers the best service possible. She brings more than 30 years of sales and customer service experience, and enjoys helping customers and providing a solution to their needs. When not working at our Flagstaff storage location, you will find Lezlie taking a Zumba class or enjoying the beautiful outdoors in Northern Arizona. Lezlie enjoys giving back to the community, is actively involved in the Flagstaff Chamber of Commerce, and has served as the past Community Outreach Ambassador for Susan G. Komen, Central and Northern Arizona Affiliate.